blogger beware: the goosebumps blog: Exciting New Poster For Everyone's Most Anticipated Movie Debuts! Exciting New Poster For Everyone's Most Anticipated Movie Debuts! Wow, it's finally here. After following the film's development for years, it's finally here! No one could possibly be more excited by today's poster debut than me. I hope they do justice to the source material (marriage) and don't forget to have a little bit of fun with it too! What are YOU looking forward to the most about this year's number one fun-for-the-whole-family, nostalgia ride movie experience??! I find it really odd that I'm on the site for the first time in a while and you choose to update. Talk about serendipity. How have you been?? Not a goosebumps post but hell im just glad your still alive. Lol, not excited about the Goosebumps film with Jack Black then? see my comment on the goosebumps horrorland review! well now that this clearly means you'll be returning to goosebumps reviews (just like last post back in 2013) I'd better start rereading all of your posts and catching up on my blogger beware references. Oh, also, troy, did you officially approve this? He seems to have taken down his one on the original goosebumps. I most definitely did not, but people stealing content from this site and passing it off as their own is a long-standing internet tradition. At least my name showed up on that one. Where's that "Shame"-spouting septa when you need her? I've been a big fan of your work, and I was made sure to cite you as the original source and point people towards this website. If not, I can cut it out, but PLEASE let me know either way! I checked this site after seeing the Goosebumps trailer in the hope it had been updated. Hope this means we're gonna get more reviews! hey troy, when are you going to go back and fix almost every picture on your blog, since almost all of them now aren't there. The trailer has both werewolves and Slappy, so I knew it'd summon you back from the depths of Horrorland. troy, back where I said if you approved those goosebumps abridged books: darn because at the end of the goosebumps 2000 abridged book, they changed the ending to "and with that I leave you. That is, until I cover the Horrorland series." 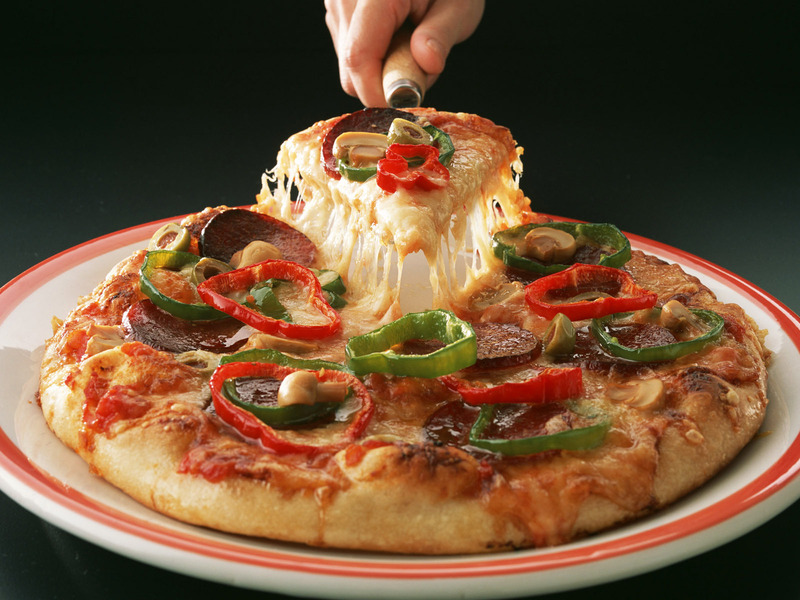 If you had approved the book, I hoped that I could use this to get you to continue the blog. But looking at it now, it probably wouldn't have done much. now I find myself coming back to this blog way too often just to see if you updated. WB Troy! As soon as I saw the movie trailer I thought of you. I can't wait to see the twist at the end - I really hope it's that they all turn out to be dogs or something. Does this mean you're going to start the blog back up again, sir? I'm STILL waiting for reviews of Gooflumps. 5 bucks says Troy makes a secret cameo in the film. I've been rereading comments on previous posts, and found that you planned to review the give yourself goosebumps books. Why didn't you? I'd be willing to donate the first 12 books in the series if it would get you to continue the blog. Speaking of comments, remember when Troy would comment on comments more often? Good times. so partially out of dedication, partially out of boredom, I've decided to make a blogger beware petition. Comment here if you want to see new blogger beware reviews/a reason why there will be no more blogger beware reviews and why we should go back to our normal lives. well, now that there's a new post, I can move my "obviously going to return because of twitter" comments over to here. So, Troy has deleted his last twitter post. This must obviously mean he's returning. right noRIGHT NOW! okay, in looking through the comments of revenge of the living dummy, when asked about creep from the deep troy said this: "It's just boring. I've had the first couple jokes written for over a year, haven't made it further yet. Someday I'll be moved forward". So all we have to do is move troy forward. .........................................................anyone have any ideas? fortantally, goosebumps hall of horrors only lasted 6 books. The wiki considers hall of horrors to be apart of the horrorland series probably because the first book was called goosebumps horrorland hall of horrors. There's also yet ANOTHER SERIES after that called goosebumps most wanted. Then of course there's give yourself goosebumps, goosebumps tv books, the remade goosebumps books with special features in the back, the goosebumps tv show, and probably a bunch of other stuff I didn't list. So my point is, there's still much goosebumps left in the world to cover. You could even review the goosebumps tv show with the tv books which of what I've found, are basically the tv show episodes in book form even though they already had a book form to begin with. Also, is your creep from the deep review a lost entry like your the scarecrow walks at midnight review. If so, the blog will come back eventually right? Right? It says "From the writer of Beaches" at the bottom. It should of said "From the writer of Ghost Beach". Oh, so you reply to that. I'm so glad Troy is alive. I keep hoping that he'll do the last of the new Gasbimps books, and then my life would be complete. To comment on the movie, I think you said it best when you reviewed the book for the stage show: "So what went wrong? The same thing that goes wrong in almost every ghostwritten Goosebumps book: Imitating RL Stine's style invariably results in a book worse than one written by Stine himself." Plus Goosebumps sort of "comes to life" in both, and that didn't work out well for the stage show. Can the movie pull it off? Just posting to acknowledge your Tortoise reference, Troy. Someone had to. well, I've finally finished reading all of blogger bewares previous posts, noticed even more pictures have disappeared making there close to no pictures on this blog, and also noticed that blogger bewares post about some other blog he had has now gone and most likely the blog itself, and still no new update. Well, again, there's still the give yourself goosebumps books to cover, troy. Also if your planning to do more reviews, then you should note that there's one (maybe two) more slappy books in the horrorland series, one of which has a MALE PROTAGONIST!!!!!!! well, i guess now we're getting somewhere with the broken pictures. The advertisement where they should be is different. So really, we're getting nowhere. oh, and now the advertisements on the broken pictures has changed back to its original advertisement. Okay then. Get back to work, you floppy-testicled miscreant. Now even the advertisements in the broken images are telling you to fix them troy. Are you excited for the new Goosebumps movie coming to theaters on October 16? Game developer WayForward just announced the new "Goosebumps: The Game", a point-and-click game that serves as sort of a prequel to the upcoming movie. A point-and-click game in 2015? Sounds like they perfectly duplicated Stine's efforts in being down with the times! HOLY CORP, A NEW BLOGGER BEWARE TWITTER POST BLOGGER BEWARE RETURN CONFIRMED!!!!! Also, he might finally be getting around to fixing all those broken pictures. OR MAYBE GETTING PICTURES FOR A NEW RE okay I'll stop now. On an unrelated note, Troy, what would you call the posts on this blog. Reviews? They're kinda like reviews. I'm gonna call them reviews. Clark, I wish I was in a position to help you on this path, but it's a little out of my wheelhouse. If I have any advice, it's to be patient and understanding and hope for the same from your friends and family. I recommend you check out the Trevor Project, which provides a toll-free number, online chat, and text messaging 24/7 for young people just like you in situations just like this. Hopefully they can give you the help you need on this journey. Best of luck to you and thank you for reading the blog and reaching out. I had a dream last night, where Blogger Beware started updating again, but troy stopped reviewing Goosebumps books and started reviewing video games. On a blog with the tagline of The Goosebumps Blog. Clearly this is some kind of futuristic prediction of Troy's true desire. Oh and then on the 10th anniversary of the blog troy posted a poem that had some kind of secret code hidden inside it, that if you uncoded it, it would reveal a secret message from Troy saying he would never review Creep From the Deep. Well, my Blogger Beware dream sequence almost got what we actually want from a Goosebumps dream sequence. "R.L.Stine said he would never write another book ever again, BUT THEN IT WAS ALL A DREAM!" Well, to prepare for the Blogger Beware's 10 year anniversary, I've reread every entry on the blog... again. All's left now is to wait for the 10 year anniversary, which I'm hoping Troy will, at the very least, acknowledge. Now, after reading all the entries again, I have 2 comments. 1. the majority of pictures on the blog are still gone. Troy, you should probably get on that. 2. It's kind of sad Troy ended where he did, because I counted, and Troy has made 97 entries (well, 95 if you don't count if you count his retrospectives on Goosebumps and Goosebumps 2000, but I do.) If Troy had done 3 (or 5) more entries, he would've made it to 100. And also he never did the Give Yourself Goosebumps books, which I'm still kinda sad he never did. Who knows, maybe one day, Troy will get the momentum to start the blog up again. Then he can finish the Horrorland series, then do the Hall of Horrors series, the Most Wanted series, the Give yourself Goosebumps series, the T.V. books (which were probably the stupidest ideas ever made) or heck maybe the t.v. show in general. And lastly, he could do the entry that I'm sure we've all been waiting for: Goosebumps Triple Header book 1. After that...well I think that's about it...then Troy couldn't continue the blog now matter how much we plea. Man, I really dragged this comment out, didn't I? Well, see you in 8 days! Well. Another twitter post. This one has a link on it. Obviously a reference to the fact that Blogger Beware will be updating... oh come on, don't you see it? Also, for a link that says "What updates with less frequency than Blogger Beware?" by now your twitter has updated more frequently than the blog troy. 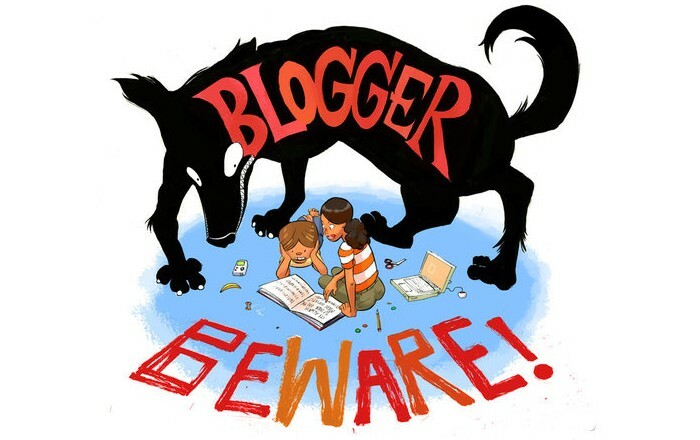 HAPPY 10 YEAR ANNIVERSARY BLOGGER BEWARE!!!!!!!!!!!!!!! !......well, that's that. Doesn't look your acknowledging it, so I'll see you in a year for the 5th year anniversary of the last entry on this blog!...but seriously, nothing? Well, why Blogger Beware's 10 year anniversary may have passed without event, the same can not be said for today, the 10 year anniversary of what is obviously the greatest movie of all time, and I sure everyone will agree, High School Musical. That movie stars a character named Troy. Coincidence?......................................................................................................................................................................................................................................................................yes. Anyone else getting sick of Troy being so secretive? If you wanna just quit for good, or just tell us you'll only do posts when you feel like it, then just say so, we won't mind at this point. Oh look, another Blogger Beware twitter post, and he also re tweeted someone elses tweet, and the whole thing is probably a reference to something that I don't know. And Blogger Beware has references I don't know. BLOGGER BELUMININATI CONFIRMED! (tired voice) oh look another twitter post, Blogger Beware's going to update or whatever. (normal voice) although it sounds like Troy might have the flu... remember Blogger Beware? ENDING! Oh now, Troy re tweeted something, that just CONFIRMS that blogger beware will update. In fact, I bet a new entry will be posted righhhhhhhhhhhhhhhhhhhhhhhhhhhhhhhhhhhhhht NOW!...well now I guess I gotta check to see if he updated. (checks) nope. Um... NOW! NOW! 54321 NOW! okay, I bet it will be posted tomorrow. (will Blogger Beware finally update a new entry after a 4 year hiatus? Find out tomorrow on Blogger Beware comments starring Anonymous. (previously on Blogger Beware comments starring Anonymous: Oh now, Troy re tweeted something, that just CONFIRMS that blogger beware will update. In fact, I bet a new entry will be posted righhhhhhhhhhhhhhhhhhhhhhhhhhhhhhhhhhhhhht NOW!...well now I guess I gotta check to see if he updated. (checks) nope. Um... NOW! NOW! 54321 NOW! okay, I bet it will be posted tomorrow. )...NOW!...nope, still nothing. There was another twitter post. Blogger Beware update is now definitely confirmed. Okay. I don't think it's gonna happen guys. Let's just give up. NO! I SHALL NEVER GIVE UP! Unless Troy says that he is done in which case I WILL GIVE UP! You know 2012 was kind of a bad year for Goosebumps. Not only did Blogger Beware stop making entries, but there was another Goosebumps blog that reviewed Give Yourself Goosebumps books stopped making posts too. And in the actual books, they stopped making Goosebumps Hall of Horror books after only 6 books. Only 3 Goosebumps books were made in 2012: Don't Scream and The Birthday Party of No Return in Hall of Horrors, and Planet of the Lawn Gnomes. I don't remember anything about the Hall of Horror ones other than Don't Scream had nothing to do with screaming and Birthday Party of No Return had one scene at a birthday party, and it wasn't even a big scene. (Good names R.L.) and I haven't read Planet of the Lawn Gnomes, but just from the title, it's probably awful. I think that might have been the year that replaced the Goosebumps website from cool design to every website ever design. 2012 was supposed to be the year the world would end, but that has nothing to with Goosebumps so why am I mentioning it? And of course, 2012 is just one more year that Goosebumps continues to still be around. So why did I bring this all up? I don't know, I'm bored. Maybe he was the guy that got eaten by the giant prying mantis...actually that would make a lot of since if you think about it. so those were your handprints then? Troy, you can't fool us. You weren't merely the stand-in. You played the entire part of the invisible boy. The fact that R.L Stine was so terrified of him in the ending shows that it was you, as there's no one he finds scarier than Troy "Invisible Boy" Steele. Troy made a Twitter post about Wheat Thins. This must mean that his next review will be the latest Goosebumps book: Revenge of The Wheat Thins. Oh my god, another Twitter post? They're getting faster and faster. Pretty soon they'll go so fast that a new post will emerge...I'm pretty sure that's how science works. Speaking of the Goosebumps movie, Chicken Chicken makes an appearance as one of the manuscripts they find. I'm sure Troy will be very happy to know this. god dang it, I had another dream about Blogger Beware updating. A really...real...looking...one too (whatever the word is). But like all dreams I have about Blogger Beware updating, it involves Blogger Beware making weird blog choices. It had Blogger Beware making an ULTRA POST where he "reviewed" every book under the Goosebumps banner that he had not yet "reviewed" (Goosebumps Horrorland, Give Yourself Goosebumps, freaking everything) only the entries were nothing more than the brief synopsis (which were shorter than the Egg Monsters from Mars one) and the conclusion. No But the twist is, memorable cliffhanger chapter ending, not even the cover. And for some reason he split it up into 3 posts. BUT IT WAS ONLY A DREAM HAHAHAHAHAHAHAHAHAHAHAHAH(starts crying) speaking of which, I should check Troy's Twitter for any subliminal Blogger Beware is totally returning guys posts. (checks) nope. Bye! Let's just give up. It's not going to happen, guys. Another Twitter post, another confirmation of the blog returning. The tweet might have been an Animaniacs reference? Guess we can cross that off the list of references he hasn't done. There was no new twitter post, and Blogger Beware will never update again...PSYCHE! Since the Goosebumps series shows no end in sight, perhaps it's proper that this blog remain in limbo. If Troy can't make it through Horrorland, I can't imagine what he'd make of Here Comes the Shaggedy and The Lizard of Oz. Oh look another another twitter post, guess that will mean Blogger Beware will update because I started that. You know one of these days, Blogger Beware will post a new entry, and I'm gonna...read it...okay, I don't know where I was going with that. But I would give anything to see some Blogger Beware Give Yourself Goosebumps entries. Speaking of which, Troy, assuming you'll come out of this hiatus, why has it taken you this long to "review" a Give Yourself Goosebumps book? I mean, I know people that have read the GYG books but not the original books, they were just as popular. What I'm trying to say here is...I'm pretty sure I'm the only one who comments here anymore. I'm gonna go reread some Blogger Beware. Wait, I just realized, perhaps there are secret messages in Troy's Twitter posts, and if we figure them out, it'll tell us when Blogger Beware will update. Okay, so let's see what his newest post says: "Gossamer hurler". According to Google, a gossamer is "a fine, filmy substance consisting of cobwebs spun by small spiders, which is seen especially in autumn." This may mean Troy is saying Blogger Beware will update in the autumn. Also, the Goosebumps book with a spider on the cover is Night of the Giant Everything, which was released on May 1st 2011, possibly showing that Blogger Beware will update on May 1st...of next year I guess. Or maybe this is all just a reference I'm not getting. On a side note, Troy, I've read Night of the Giant Everything, and it is a book that is just waiting for a Blogger Beware entry. Twitter post. That is all. Well, there was both a retweet and new twitter post, so I guess, double the tweet equals post? I don't know, I'm not good with math. But the new post is about monsters, so perhaps a sign? new twitter post, and now Troy is definitely writing the new entry ON VACATION! You know, it kinda makes me wonder what Troy has been doing all this time. Yeeeahh..Let's ask him! Troy, what have you been doing all this time? For some reason, Troy never seems to want to say what he's been doing, so he probably won't answer. Oh hey look. A twitter post. Blogger Beware is sure to update...again...you know it's just occurred to me that the last Blogger Beware post had nothing to do with Goosebumps. Now there was a retweet. That's someting right? Well, I have reread every Blogger Beware entry...again. Apparently, I'm under the impression that if I keep rereading all of the entries, a new entry will be made. Well, at least I made it just in time for the 4 YEAR ANNIVERSARY OF THE LAST BLOGGER BEWARE ENTRY... oh wait, I'm a few weeks late...eh, close enough. It's that time once again...SATURDAY!!!!!!!!!!!!!!!! More twitter and stuff!!!!! I'm running out of things to say. Another Twitter post. At this point, I think Troy should update his Twitter link. Blogger Beware Twitter returns! And this time there's actually comments, let's take a look...people wanting Blogger Beware to return. Well, that was about what I expected...I think I'm trying to make a joke here, not sure what it is though. TWITTER!!!!!!!!!!!!!!!!!!!!!!!!!!!!!!!!!!!!!!!!!!!!!!!!!!!!!!!!!!!!!!!!!!!!!!!!!!!!!!!!!!!!!!!!!!!!!!!!!!!!!!!!!!!!!!!!!!!!!!!!!!!!!!!!!!!!!!!!!!!!!!!!!!!!!!!!!!!!!!!!!!!!!!!!!!!!!!!!!!!!!!!!!!!!!!!!!!!!!!!!!!!!!!!!!!!!!!!!!!!!!!!!!!!!!!!!!!!!!!!!!!!!!! !have I done this one before? Oh, and also a retweet. Blogger Beware's a comin back! Another Twitter post which clearly shows that Blogger Beware will update...TOMORROW! Bet you thought I would say it would update now, didn't you? Come on man, time to start this thing up again. Those Drinking with Goosebumps guys are taking a break and I need my occasional GB reviewing fix satiated. 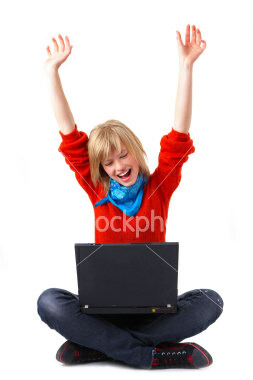 More Twitter posts with references I don't get, yay!!!!!! More Twitter hilarity and stuff!!! Oh, and also the profile picture and...background...image...or whatever that is have been changed. Blogger Beware Twitter updated which means Blogger Beware website will update because 100000th times the charm. You know, there's probably some secret meaning in the pictures on the twitter I'm not getting. New Twitter post which is a sign that Blogger Beware will return, and I've run out of different ways to say that...actually, I think I already have. Retweet action!!!! yep I've definitely run out of things to say. I don't know if I mentioned it, but I'm running out of things to say. Troy im curious, have you seen drinking with goosebumps? Wait, the series is over? Already? Why does R.L Stine keep making super short Goosebumps series? Oh, and now there's a new series coming out...this one will probably last 3 books. Oh, and also new Twitter post. There's a new Twitter post, and I am really missing Blogger Beware. But of course, new twitter post means that Blogger Beware will update soon...right?...NOW! Is it necessarily a bad thing if Troy never posts here again? I mean, we already have his reviews for the first series and for 2000. Those are the ones we grew up with. The new books are also awful, but... so? Instead of "these are horrible, how could I like this as a kid lol" its just "these are horrible". I'd love to read some more stuff by Troy *nudgenudge*, but Blogger Beware at least has run its course. Well, he still hadn't done the Give Yourself Goosebumps books. WHAT AN EGGCELLENT TWEET! I'm sorry. I just wish those horroland reviews could be finished, as was fortold by the Steele long ago. Then I can finally descend into the earth and slumber for a thousand years. Another obscure reference I'm not getting/cryptic hint of when the return of Blogger Beware will be twitter post. Also, is it just me, or does that image above the update status switch between being there and...not...being there? Welp tomorrow is Halloween, i hold out hope for something on here then but I doubt it. But he's already done something for Halloween...on his Twitter, with a spooooooky Halloween retweet! OOOOOOOOoooooOOOOOooh...are...are reunions scary? Happy Halloween, let's celebrate by having a bonfire with every copy of chicken chicken we can locate. So, I was rereading the last Blogger Beware entry, Revenge of the Living Dummy (which is one of my favorite entry's actually, at least Troy ended on a high note). When I was rereading the comments (lol people that can't wait for the next entry) I saw that Troy said he had the first couple of jokes written. Troy...could you just release those? I'd take those jokes, I'd be fine with it, just please give us something. Whoooah, a Twitter post AND a retweet, things are getting crazy now! New (random?) Twitter post...you know, maybe Troy will update if we figure out what this post has to do with Goosebumps...uh...well, the Goosebumps movie was coming out around this point, so were we supposed to think he should be talking about...the Goosebumps poster? That could be it...NOW! No new Twitter post, but I just wanted to say I found a list online that ranked all 62 Goosebumps books from best to worse, and actually put You Can't Scare Me at the VERY BOTTOM! And what was the very best in this guy's opinion? Welcome to Dead House...so, needless to say, the list kinda sucked. Go Eat Worms was second (which I can kinda see I guess) Chicken Chicken was 54th which would make it...9th from the last I think? Oh, wait, I mean, new Twitter post. 3 days late, but there was a new Twitter post...that's all I have to say about that, but Troy, there's a question I've been wanting to ask. (you know, besides will there be a new update) Do you consider the Goosebumps/Goosebumps 2000 retrospectives as entries? Today's Twitter post comes to us from...Troy Steele...I mean it is his Twitter account so...it would obviously come from him...unless his Twitter is ghostwritten. Well, for what is probably the 50th time, I have reread every Blogger Beware entry, only this time, instead of reading them in order, I read them down the list on the side. The majority of the images are still gone. I figure the least Troy can do is fix all the images, but then again, with all the images that are gone, that would probably be harder to do than actually writing a new entry. A new Twitter post... you know, at this point I'd probably even take one of those random nothing to do with Goosebumps posts (like the one above) but than again, I remember my reaction to when the last one was posted: OH MY GOD, NEW BLOGGER BEWgod dang it Troy! It's that time once again! Troy Steele Twitter Time!...wouldn't it be funny if this turned out to just be another Troy Steele's Twitter account that Troy just linked to because reasons? Oh, some more Tweets. And by more I mean one and a retweet. I don't really know what to say anymore that isn't just begging Troy to come back. Oh cool, I've read Troy Steele's twitter too. Well, there's a new Troy Steele Twitter post, and this time, R.L.Stine himself responded to it, to show that he still doesn't get jokes made at his expense. And while Stine was responding to some other guy in the Twitter comments, maybe it's still a sign that even Stine wants Troy to continue the blog. So who knows what 2017 will bring us in Blogger Beware news? After all, it will be the 5th year anniversary of the last Blogger Beware entry, Revenge of the Living Dummy. And there is that Goosebumps Slappy World series coming out (which really rolls off the tongue, doesn't it?) maybe that's another sign? At the very least, we can probably expect a new post that has nothing to do with Goosebumps (it seems the pattern is every 2 years with those?) so I can look forward to peeing my pants in excitement, only to realize it's just a post about Chuck Norris or something. But who knows, maybe next year Troy will finally fix those broken images (cough cough)? Really? Stine actually acknowledged our boy Troy? It was more replying to another guy in the comments. What do yo want me to talk about? What is Twater? Retweet, and I just noticed I misspelled you in my last comment? How do you do that? New tweet. It says "I'm still crafting my incisive political tweet", and when I first started to read it, I thought he was going to say he was still crafting the next Blogger Beware entry, god dang it. A random memory from "Give Yourself Goosebumps #5: Night in Werewolf Woods": You (Main Character) are at a camp/woodland resort with your neighbor, who brought his box of pewter figurines. Who brings their pewter figurine collection on vacation with them? Hey, Troy, read "The Boyfriend" (one of Stine's young adult novels). It begins with the main character going to a mall and hiding, so she can watch her boyfriend be upset when she doesn't show up. And she calls her friend to boast about this. Blogger Beware Night in Werewolf Woods entry confirmed. What are the Goosebumps TV Books? Are they the same books with pictures inside, or are they shortened versions of the original books, based on the TV episodes? Oh, crap, there are a lot of tweets now. Or rather, they're all re tweets...plus one normal tweet. Well, you know what they say: 5 retweets and 1 normal tweet makes a Blogger Beware entry...pretty sure that's how it goes. Troy, will you at least tell us if you saw the Goosebumps movie? One of the best moments in the TV series: "Werewolf of Fever Swamp", when Grady locks his mother in a shed to keep her safe from the werewolf. Can't remember if it happened in the book. And then a gorilla disguised as a werewolf attacks her. Wait, w-why do you say that? DO YOU KNOW SOMETHING WE DON'T OTHER ANONYMOUS USER?!? Theory: The other anonymous user is Troy in disguise. Turned to a random blog page, and did the It Came from Beneath the Sink have it's pictures before? Is Troy finally updating the images? Heh, that one is pretty good, isn't it? Oh look, a new Twitter post! Let's talk about something completely different! Did you know that Blogger Beware has his own page on the Goosebumps Wiki? Although I guess it makes since, seeing as how they stole most of the plot summaries, it figures to give him his own page. They also seem very lax on what counts as trivia, as one of the pieces of "trivia" found in the Trivia section is "Several running jokes have evolved in the running of Blogger Beware." Another new Twitter post, but I'm too tired right now to think of something original to say about it, SO SHUT UP! Did y'all know Blogger Beware has an entry on TV Tropes? Well, I've once again completed the journey of reading all the Blogger Beware entries...and now I'm back to be reminded how out of place this post was. I suppose we can start preparing for the 5th anniversary of the last Blogger Beware entry. Maybe Troy will make a post on this one, which can also double as his "1 random post every 2 years" post. (checks to see if maybe Troy made a fake entry as an April Fools joke) ok, then.